DATES OF ACTIVITY (tentatively) — October 31st to November 3rd 2017. Our time on the island is totally weather dependent. Pictures taken during the recce trip suggest a tricky landing. We also have to get back off the island. We aim to be active as much as possible during a 72 hour window. Understandbly, demand will be huge to work this new IOTA, but we will have limited operating time and want to work as many Deserving as possible. QSO Policy — an insurance QSO is never frowned upon as long as it’s on a different band/mode, ie (not a dupe). Our view is that it’s always best to try maximise the amount of unique callsigns in our logs during First or Rare IOTA activations. 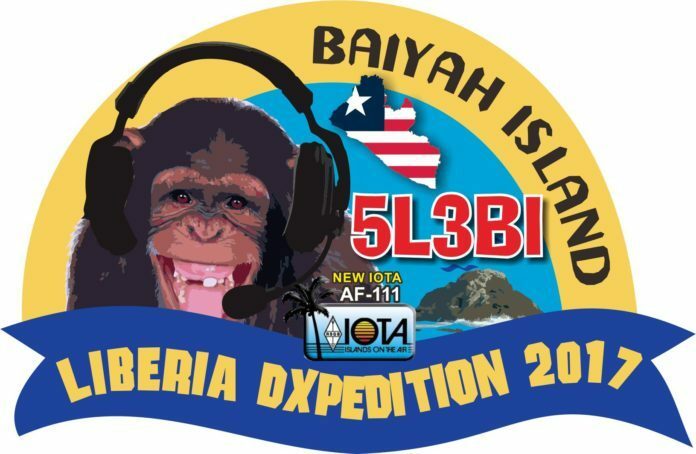 In this case, we realise that Liberia may also be a new DXCC country for some, however we will still prioritise in giving out the new island reference. We will use verticals operating CW & SSB, 40-10m. Three stations QRV if possible. Tent and generator style.